Opening oysters with a knife can be difficult and dangerous. One slip or one miscalculation and there's a good chance of serious injury. With the EZ SHUCKER those worries are gone. 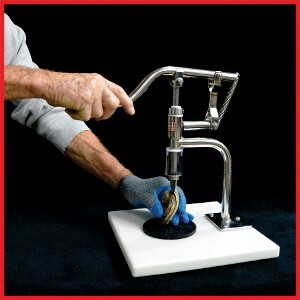 The knife is protected by a lexan blade guard and is easily controlled by the machine handle. The blade never points at the hand while the knife is moving with a natural shucking action. The EZ SHUCKER is constructed of the finest materials and makes an interesting and attractive addition to a seafood bar as well as a gourmet kitchen. It is built to the highest commercial standards, and will provide a lifetime of service. 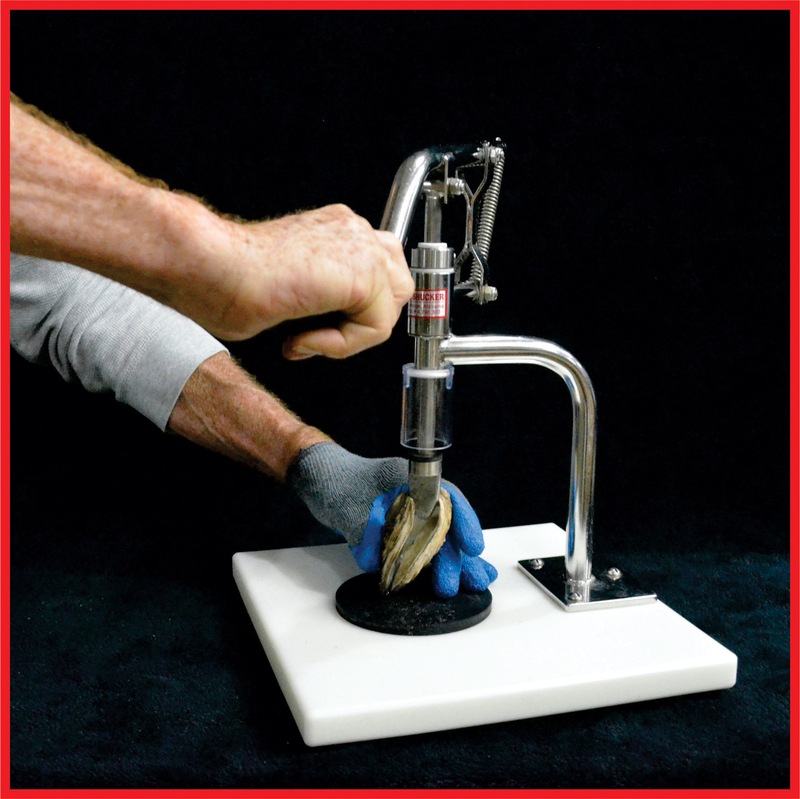 The EZ SHUCKER is crafted from high-quality stainless steel and commercial grade plastics. There is a full year guarantee on all parts, materials and labor. 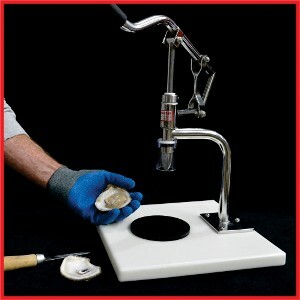 Quickly and easily opens oysters and other bivalves, including clams, scallops and mussels. We have a full line of replacement parts for the EZ Shucker, oysters sometimes get the best of you but with replacement parts you're back to shucking. Height 19" Width 12" Length 12"